I am not a big fan of skinny jeans. They make me look shorter, and heavier on the bottom, not what my pear-shaped figure needs. (A good straight-leg is my go-to style.) However, if I am wearing boots, skinny jeans are just what the doctor ordered. These jeans were just over $10 at Forever 21. 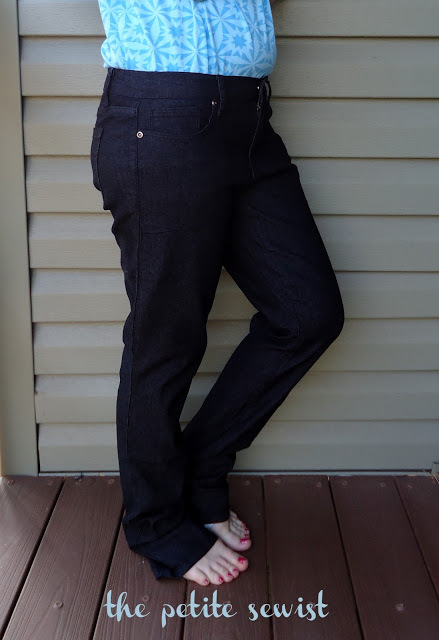 I don’t mind a thinner (cheaper) jean this time, especially since I’ll only be wearing these with boots. 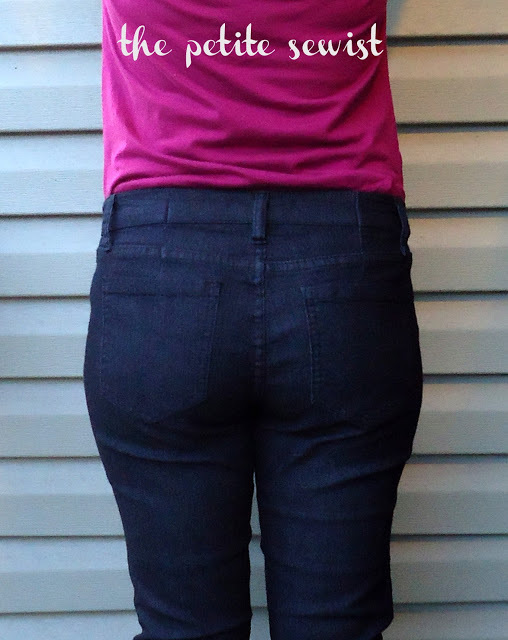 Even though they are advertised as ‘skinny jeans’, they are baggy on the sides. The alteration I am about to describe would work the same when altering a bootcut or flare jean into a skinny jean. First, I cut some length off the bottom. These babies were way to long. 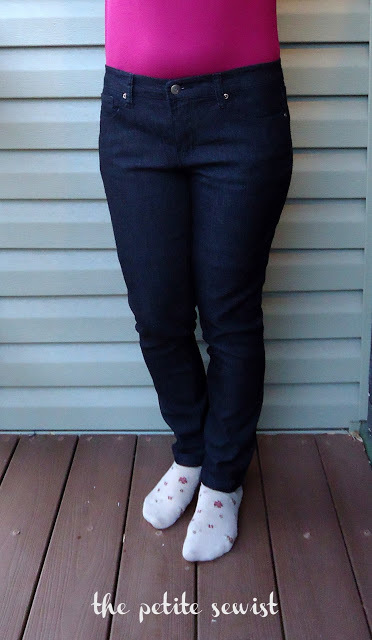 Then I put the jeans on inside out, and placed pins vertically where I wanted to slim the outside of the leg. 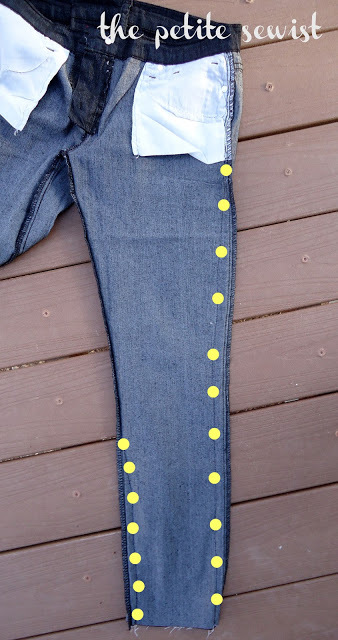 I also placed pins on the inside of the calve to slim the jean in that area. 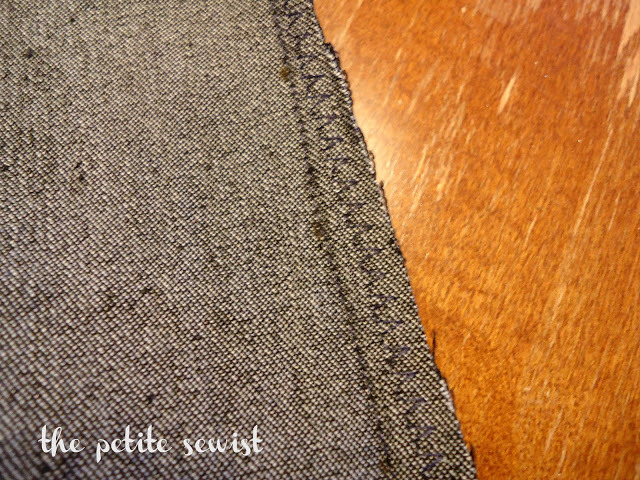 After I slimmed both sides of both jean legs, I zig zagged near the stitching and cut of the excess fabric. 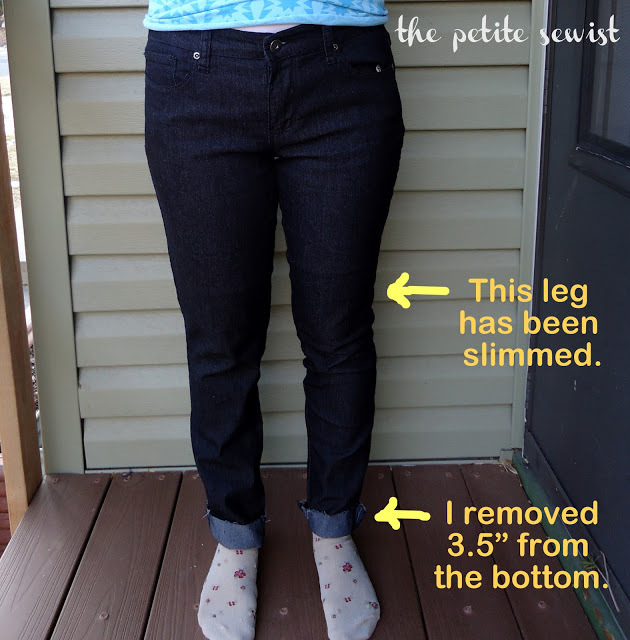 I re-hemmed the jean leg by folding over 1/2″, then again by 5/8″. 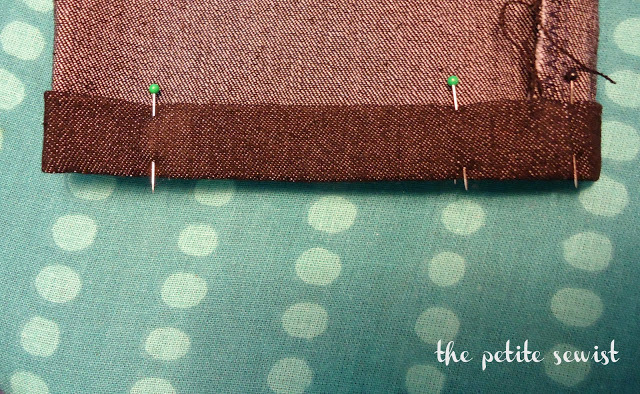 I sewed near the edge. 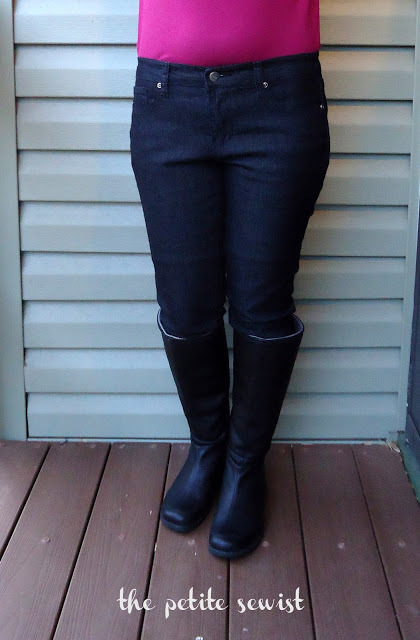 It is so much easier to zip the skinny jeans into the boots than boot cut jeans. I also added a couple of quick back waist darts to fix the gapiness at the waist. Fits like a glove.